Affordable compact security safe for smaller items, including knives and small handguns, is why you're going to want the NanoVault 100. 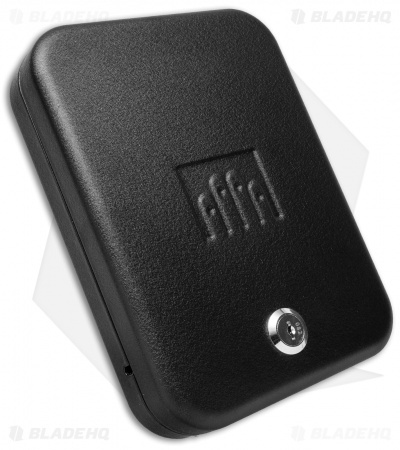 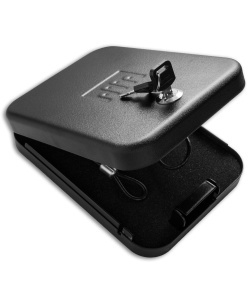 It has 1.5" x 5.75" x 8" of interior space and sturdy 20 gauge steel construction with a single locking point (includes two standard keys) to protect what matters to you. 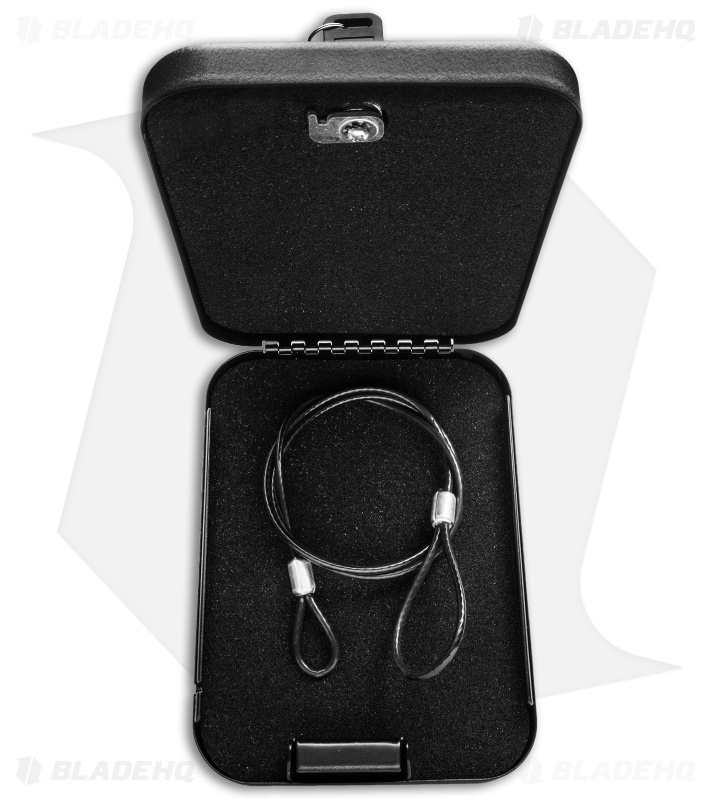 The NanoVault's size enables you to put it in a vehicle, briefcase, packs, bags, or mount on a wall at home. It is supplied with a 1500 lb. tested security cable.